The state of your ductwork plays a significant role in the efficiency of your HVAC system. After all, it is the passageway that the output must travel to warm or cool your home. It also affects the indoor air quality. 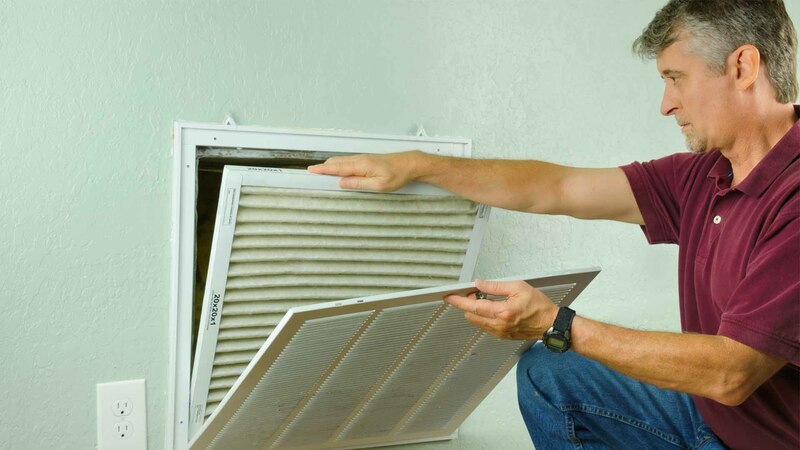 Duct repair, when needed, is essential to keeping your HVAC system running efficiently. Debris and particulate matter can impede the airflow, making the unit work harder than it should. That means higher utility costs. But the troubles don’t end there. It can also decrease the lifespan of your air conditioner and furnace which can lead to expensive repair bills. Indoor air quality can have far-reaching effects on the respiratory health of you and your family. The sealed environment of your ductwork and HVAC system are the ideal breeding ground for mold and bacteria which can trigger allergic reactions and asthma attacks. Several things can go wrong that can lead to efficiency issues. For example, damage to the supply or rear ducts may cause leaks which can cause harmful emissions into the environment or your home. You may notice the decline in your system’s efficiency with hot or cold spots that indicate compromised airflow. Having professional duct repair done can solve this issue for you, and prevent it in the future. Left untreated, it can lead to more extensive destruction and even necessitate replacement which can run thousands of dollar depending on the degree and accessibility of the ducts. You’ll also risk further complications if contaminants make it to your heating or cooling unit. It can damage the internal components for a more expensive repair. It’s essential to remember that leaks aren’t an uncommon problem. Typical use may lead to deterioration of the existing ductwork over time. Older homes may not benefit from duct repair due to the risk of irreparable ductwork. However, the longer you put it off, the more costly it’ll be. Penguin Cooling and Heating can get to the root of the problem to restore your HVAC system’s peak efficiency. We can inspect the existing system and measure the airflow to identify trouble spots from the supply ducts to the returns—and everything in between. While homeowners can manage repairs in easy-to-reach areas, it’s also crucial to evaluate the entire system even in hard-to-reach places behind walls and under the floors. Our team of technicians has the experience and knowledge to get the job done correctly and affordably. That’s especially important for older systems or custom-designed ductwork where accessibility can make a seemingly small job more complicated. We offer free consultations and estimates with no hidden costs or surprises. You’ll know upfront all of the expenses. No project is too big or too small. We tackle them all. If your area requires permits or licenses, we’ll handle it for you to make the process as hassle-free as possible. We pride ourselves on delivering results with 100% satisfaction by putting you first. There are no upcharges for night or weekend service. Our service trucks are fully stocked to handle most repairs on the spot. All of our team members are EPA-certified with annual certification on a wide range of product lines. They are licensed, insured, and bonded for your peace of mind. We are also an authorized warranty dealer for name brands such as Amana, Trane, and many others. Prevention is often the best way to handle problems with ductwork. Our services include duct cleaning as part of the necessary maintenance for the smooth operation of your HVAC system. It’ll improve the indoor air quality of your home by getting rid of allergens that can affect your family’s health. We’ll also inspect your ducts for leaks or damage that can impair your system’s performance. We will replace or do Aeroseal Duct Sealing as necessary to get everything in good working order. All it takes is a phone call. You have questions. We have the answers. The modest investment in routine maintenance can pay off in large dividends. Don’t let leaky or damaged ductwork increase your heating and cooling bills any longer. Protect your family by improving the air quality Charlotte. Call us today at 704-296-0800 to get started with a free estimate. Or if you prefer, message us. We’re here to help 365 days a week.